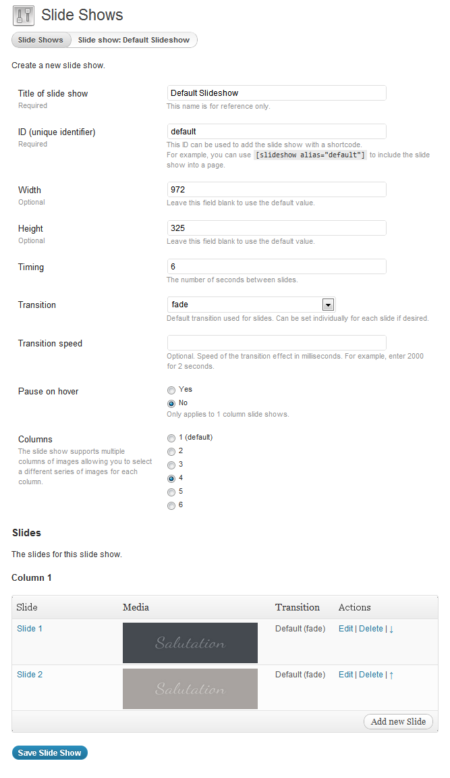 Make slide shows to include into the header of layouts and directly into content as shortcodes. 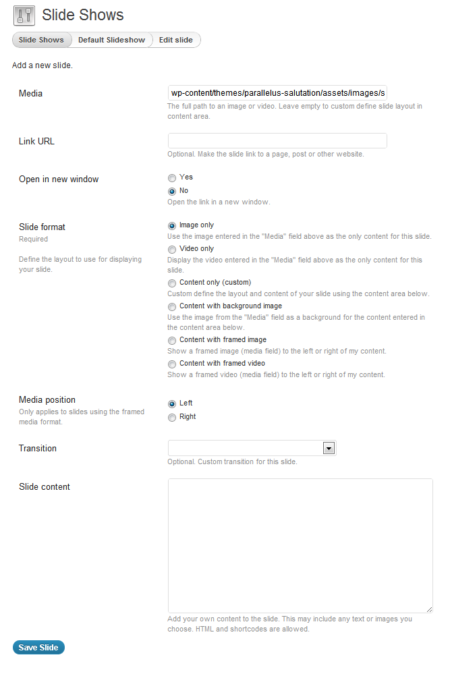 Slides may contain images, videos, static content and any HTML output you choose. Add slide shows to the header of any layout. Use content from images, videos or HTML code. Link slides to any page, post or URL of your choice. Multi-column slide show to display a series of images per slide. A complete list of all shortcode parameters is available on the slide show shortcode page. Once a slide show is created it can be included into any header, which in turn can be used with any layout. This makes it possible to have a slide show at the top of any page, post or even give the effect of simulating multiple home pages. The only requirement for adding a slide show using the shortcode method is to specify the alias of the specific slide show to be displayed. Other attributes such as width and height may be optionally included as well.